If you are interested in kittens, send me a request and I will inform you when kittens are born and available. 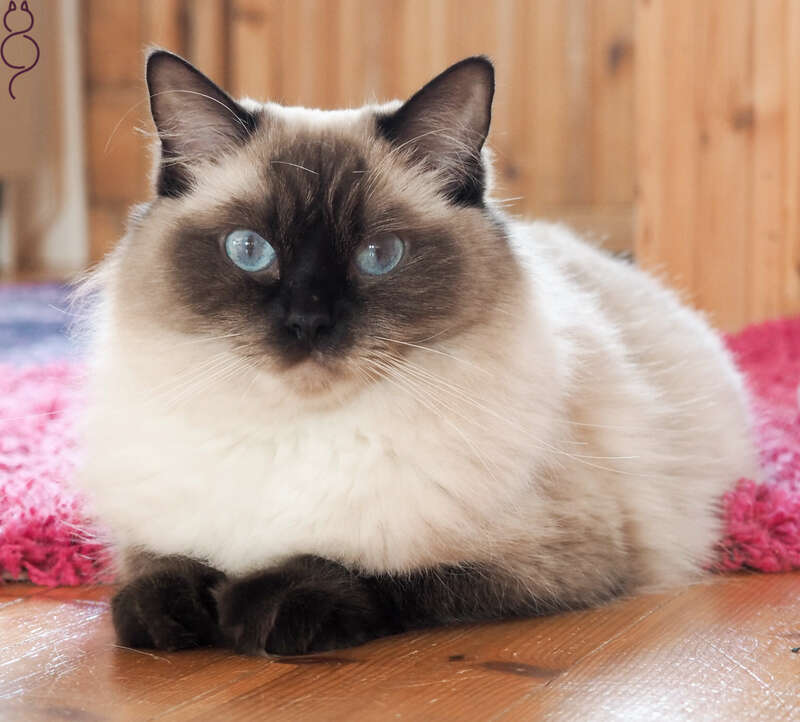 Purppuralinnan is a Ragdoll breeder in Aura, Finland. FI*Purppuralinnan is a registered breeder with Suomen Kissaliitto which is the Finnish FIFe member. 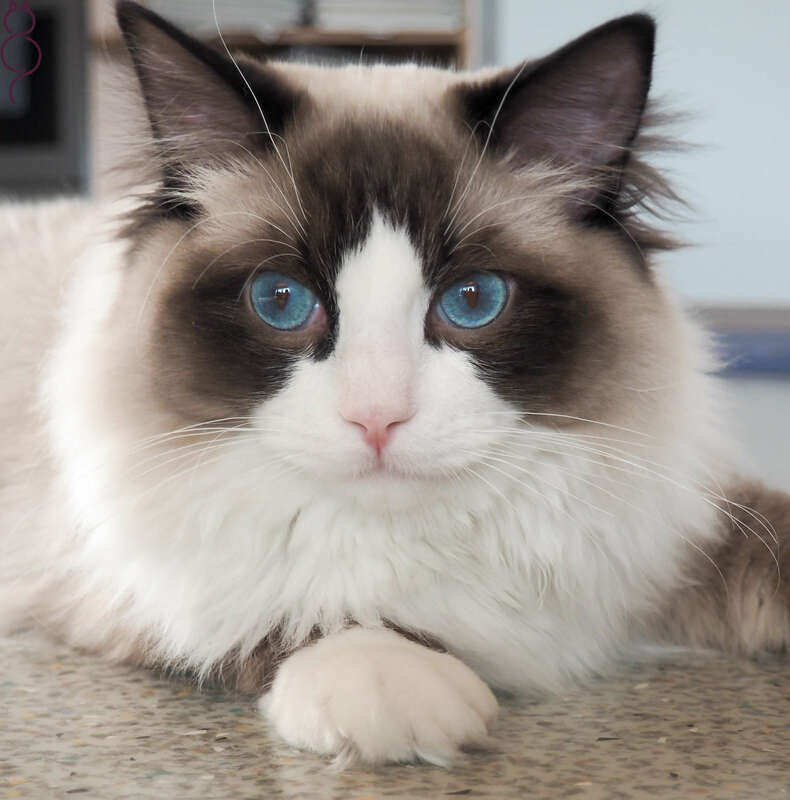 I am committed to breeding healthy Ragdolls which are friendly, social and typical of the breed. As a breeder I believe in high quality, practicality and responsibility. 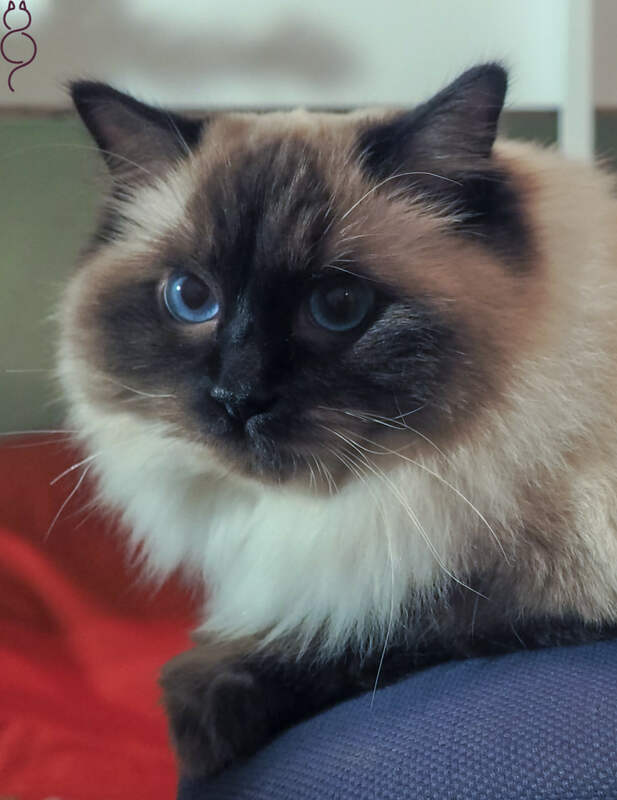 I am a member of Turun Rotukissayhdistys which belongs to FIFe through Suomen Kissaliitto, and a member of Ragdoll breed clubs Finnish Ragdoll Cat Club and Suomen Ragdollystävät-Seura. All kittens are living in the house with us as family members. They will get lots of love, cuddles, high quality food, handling and individual caring so they grow up as happy, balanced and healthy kittens. I sell kittens only for responsible homes. I hope you tell me something about yourself and what kind of a kitten you are looking for in the kitten inquiry. A pet cat can not be used in breeding and it is sold neutered. so kittens are sold neutered. 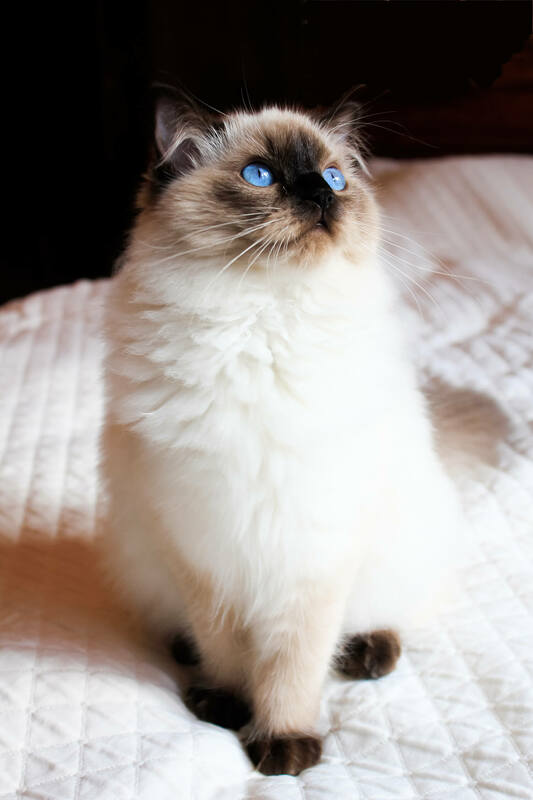 It is possible to take part in shows with it, but some cats may be in contrary to the breed standard (colour or shape) which reduces its chances to success in shows. 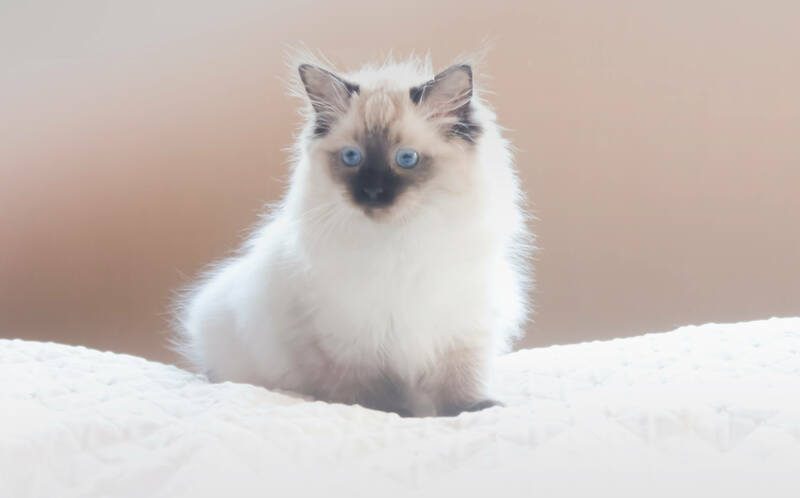 For those who are interested in exhibitions we recommend a breeding kitten which according the breeders recommentation is promising and meets the breed standards. A breeding kitten is evaluated to meet the breed standards and as a promising kitten. There are no obvious mistakes which would reduce its chances to success in shows (however future success in shows cannot bee guaranteed) or in breeding. Breeding cats are sold in full breeding rights and only to registered breeders. A foster cat / kitten lives in a foster home but the breeder owns it. Fosterers are needed when we don't have enough foom for all our breeding cats. A foster cat can be female or male. The price depends on the contract, for example the number of litters and raising place of kittens affect the price. After fixed-term foster period the fosterer will own the cat. The contract is always negotiated to meet the needs of both the breeder and the fosterer. If you are interested in kittens, send a kitten inquiry. You'll be informed when kittens are born and available. You can also make a tentative reservation of a kitten at any time by contacting me by mail. People who have made a tentative reservation are the priority when kittens are available. However, you are not bound to buy a kitten. I hope you tell something about yourself and what kind of a kitten you wish to have when making the tentative reservation. You can make a pre-reservation of a kitten based on our discussions and photos when kittens are 4-5 weeks old. I hope you come and visit us and view the kitten before making the final decision. Kittens can be viewed when they are 5-7 weeks old. The reservation of the kitten is made by paying the deposit of 300 €. The deposit will hold your chosen kitten, and it’ll be deducted from the total price. The deposit is refunded only if I’m unable to sell the kitten. The kitten is sold when it’s fully paid and homed to its new owner. 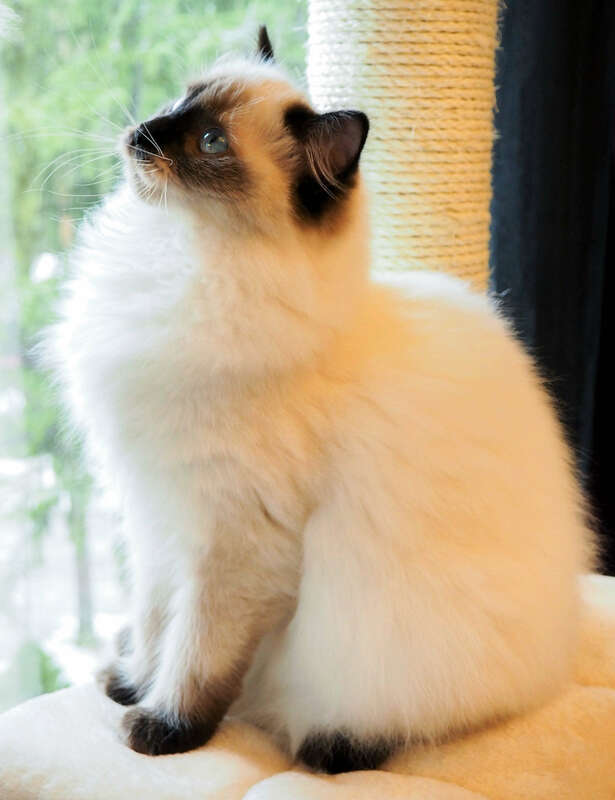 FI*Ragtail Janna is a lively seal colourpoint with lots of courage and character. Where is action, there is Janna. Her first kittens were born in November 2016, second litter in december 2017 and third litter in july 2018. She is HCM-dna, FeLV and FIV negative, blood type A-cat, and she has both HCM and PKD normal status. 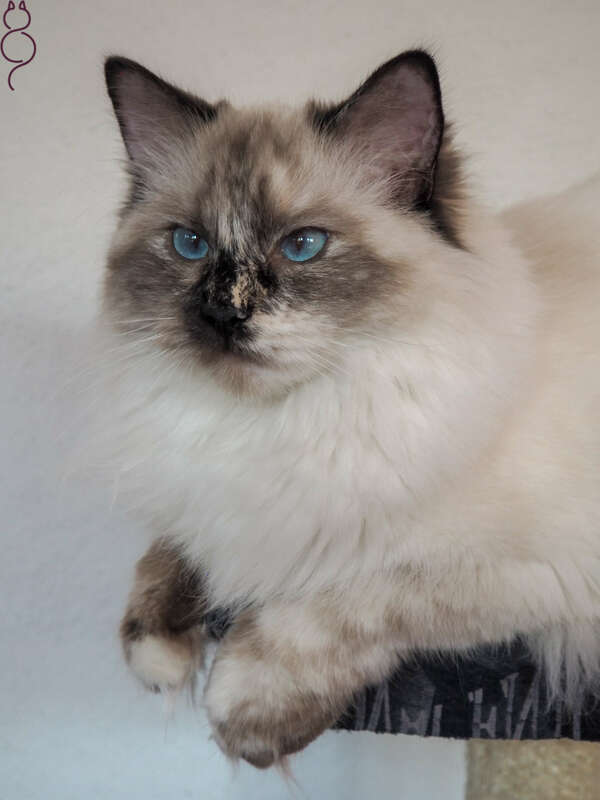 Dollicious Viking Shamanita "Mila" is already adult seal colourpoint. She carries also blue colour in her genes. She will be bride both Prinssi Marcos and Prinssi Wilhard. Kittens will be born earliest in autumn 2019. 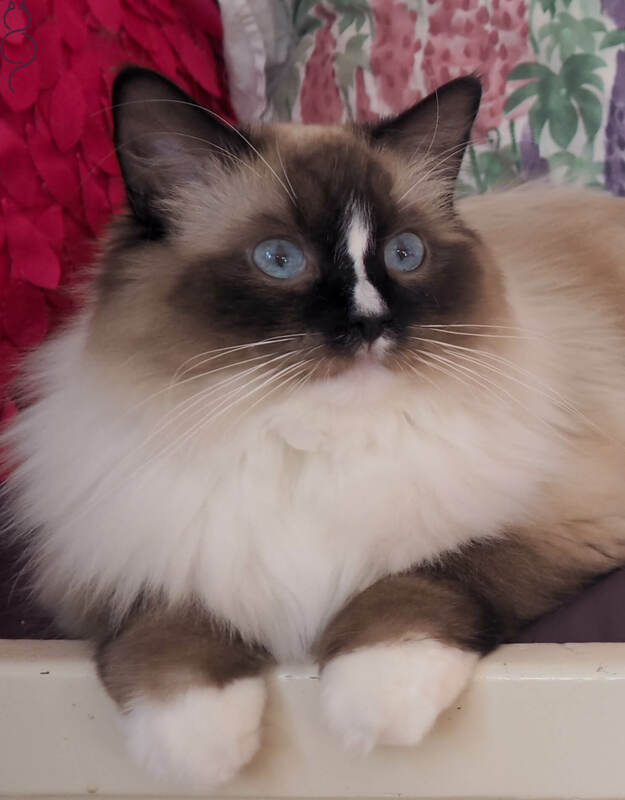 FI*Ragtail Pandora is a very beautifull young princess and we are waiting for the kittens during year 2019. 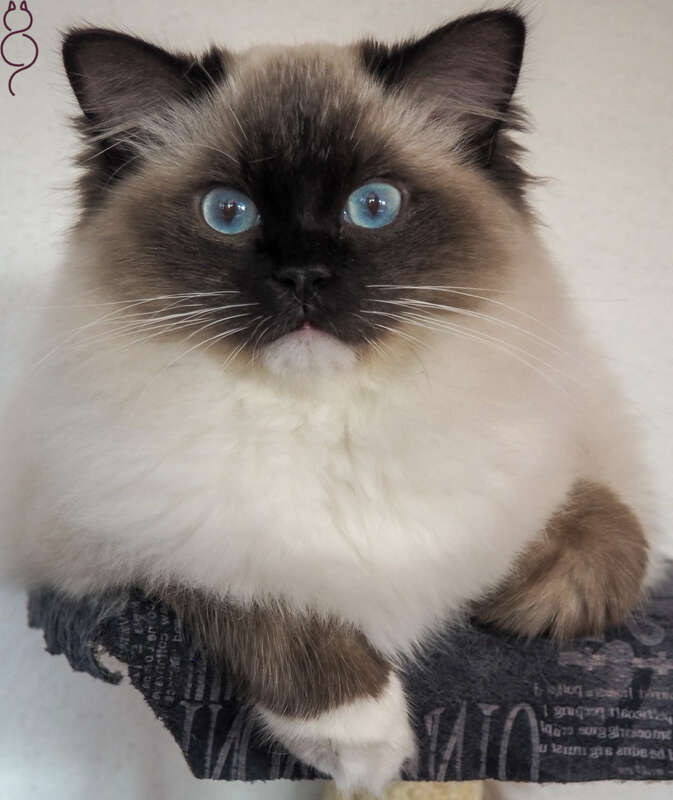 FI*Purppuralinnan Prinsessa Rosenna "Jenna" is a very beautifull young princess and we are waiting for the kittens during year 2019. Nagawiga de L'Ulyssiade aka Nalle is very handsome and friendly cat. Real gentleman towards people and the other cats. He will be the future husband to most Queens in the castle. Marcos will continue Prinsessa Vivianes beautiful line and he will be the future husband to Dollicious Viking Shamanita. Kittens will be born earliest in autumn 2019. 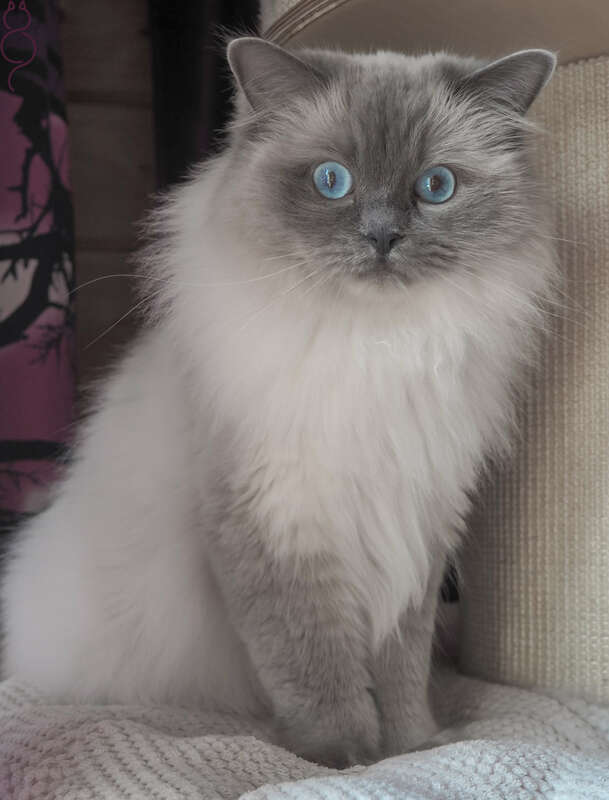 CH FI*Peukaloisen Dancing Queen aka Miisu is a very friendly and laid back seal colourpoint. She is a HCM-dna, FeLV and FIV negative, blood type A cat, and she has both HCM and PKD normal status. 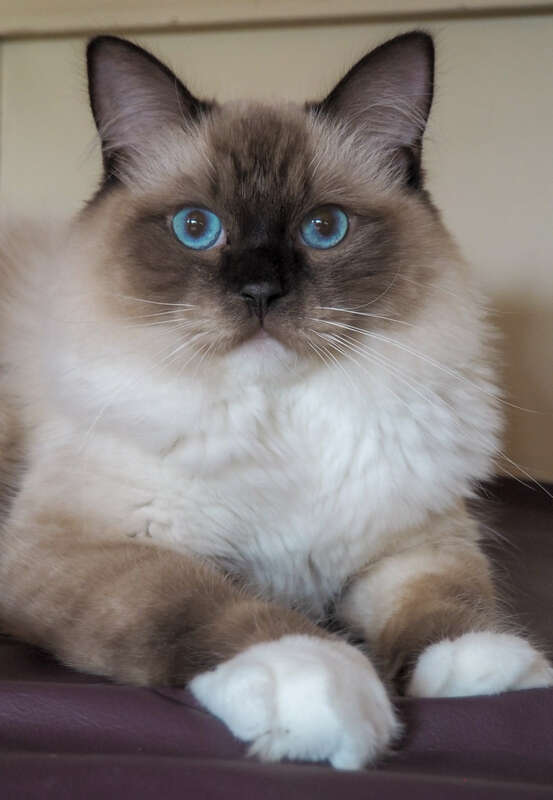 Miisu had her third and last litter in november 2017. 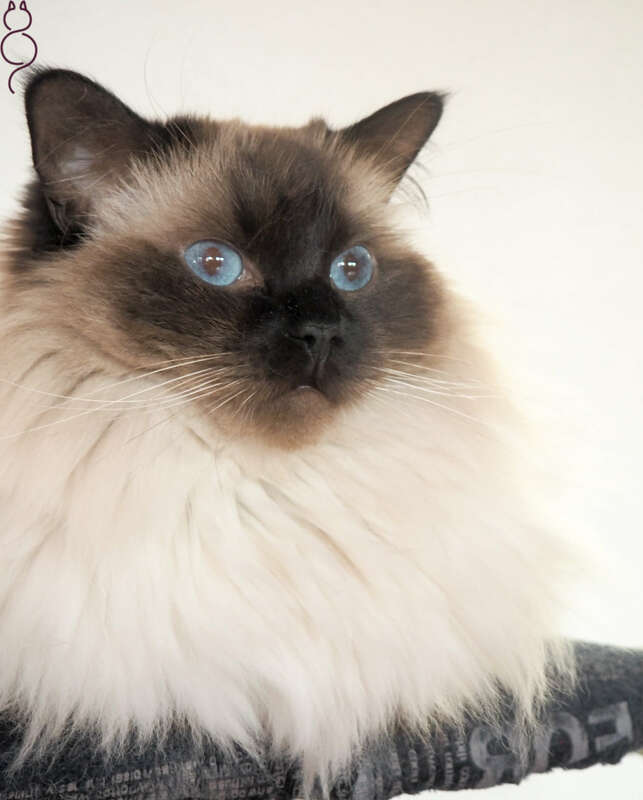 Purppuralinnan Prinsessa Viviane aka Viivi is a very large, friendly and carefree young princess - and our first home bred Ragdoll. Nothing really bothers or troubles her: she welcomes all visitors with confidence and communicates with a voice that won’t be unnoticed. In addition of her fine character, she has a soft, dense and silky coat. She don't have any own kittens yet. She is FeLV and FIV negative, blood type A cat, and she has both HCM and PKD normal status. Purppuralinnan Prinsessa Safiira is a very beautifull, friendly and relaxed young princess. Nothing really bothers or troubles her, she is not scared about anything. In addition of her fine character, she has also a soft, dense and silky coat. Safiira lives together with Purppuralinnan Prinsessa Violette in Lieto. She has had one litter in august 2018. From that litter was born Prinssi Wilhard and he will continue this beautiful line in future. Safiira is HCM-dna negative, FIV and FeLV negative, blood type A cat, and she has both HCM and PKD normal status. For any question or kitten inquiry, fill in the form or email me. I will respond you as soon as possible. Thank you for stopping by!